We are pleased to inform you that West Area will be conducting a Chief Commissioner’s Award Exploration Assessment. All Scouts who have achieved First Class Scout Standard. Please indicate ‘WACCE/01-17 ’ and your name behind the cheque. 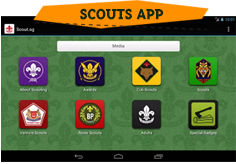 Registration is strictly through the Scout Membership Service Database (MSDN) to be made before the closing date. Candidates are reminded that they are required to have 3 companions and at least 1 reserve for the assessment. The candidate must be a certified first aider and the companions must have basic skills in First Aid and CPR. All registration is to be applied through the Scout Membership portal under Scout Youth Programme Registration (http://intranet8.scout.org.sg/Content/default.aspx) by the closing date 17th February 2017 before 5PM. To facilitate matters, please email a Microsoft Word version of your application to abazeman@gmail.com by 17th February 2017 1700h when you submit the application form to the Singapore Scout Association. Complete the medical declaration form (candidate and companions), which must be included in the hardcopy of your pre-hike report to be submitted on the first day of the hike. 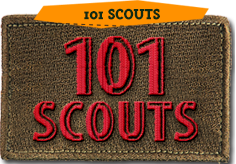 Priority will be given to scouts from units in the West Area.